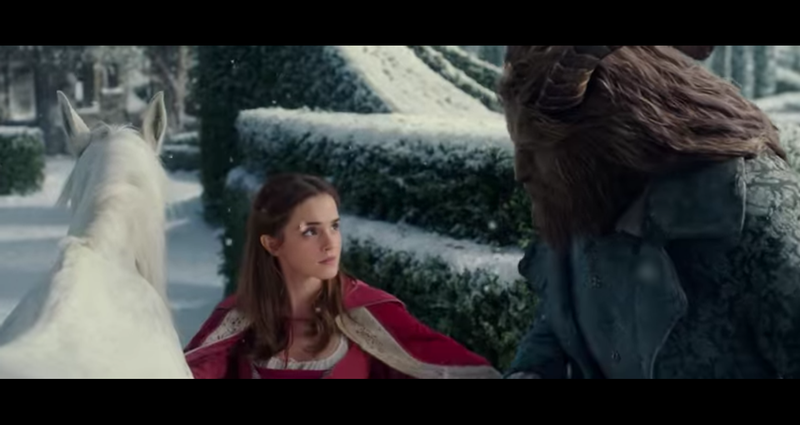 The much-hyped live-action remake of Beauty and the Beast is winging its way to theatres March 17. As the film’s titular Beauty Emma Watson begins the press tour, she faces the age-old question of whether or not this tale as old as time is actually about Stockholm Syndrome or not. Perhaps part of that “independence” and “freedom of thought” Watson is referring to is the “feminist backstory” the new version touts—Belle invents a donkey-powered washing machine, the villagers don’t like it very much and they destroy it. This is the catalyst for her escape that lands her in the Beast’s moldering pile of stones and talking household appliances. While that’s great, a lot of the original storyline remains intact. Belle is still trapped by the Beast. She’s still his prisoner, though Watson sees it a little bit differently, I guess. This Belle can take it and dish it out at the same time? I see her point, I guess, but I’m also pretty sure that what she describes is the literal definition of Stockholm Syndrome. Just saying! "The Master's not as terrible as he appears."